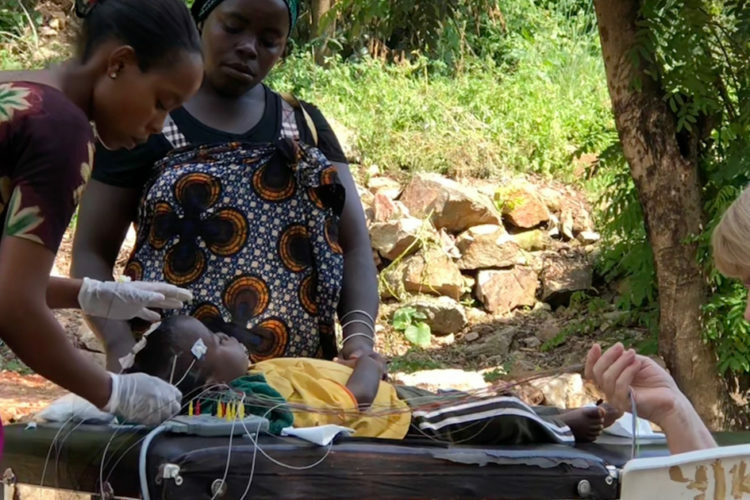 Thanks to Southern Baptists, this young boy in Tanzania is getting tested for epilepsy. BGR funds helped purchase the portable solar powered EEG machine that is attached to his head, measuring the electrical activity in his brain. He lives in a rural village that can only be reached by boat or foot, and his family has limited access to medical care. But, the machine’s portability allows health workers to perform tests in the area’s most remote communities. They evaluated 21 children and adults for epilepsy in this boy’s village–and they identified 12 who needed care.